If you are a business based in the Chester & Ellesmere Port area and are considering moving to larger premises or extending your current facilities then speak to us first as we may be able to help you get a greater use out of your premises using our bespoke and innovative pallet racking and mezzanine floor solutions. Chester has been an important trading gateway since Roman times and nearby Ellesmere Port, has developed as a major distribution and commercial area being located on the river Mersey and close by Liverpool Airport. The growth and regeneration in the area has seen Warehouse Storage solutions provide customers in and around the Chester area with a range of innovate and cost effective storage solutions, see our customer portfolio for more details. As one of the UK’s specialist providers you can rest assured that each and every one of the pallet racking solutions we deliver for our customers are tailored to your needs and cost effective. Based in Yorkshire but with a team covering Chester and the UK we are able to respond quickly to customer demands. 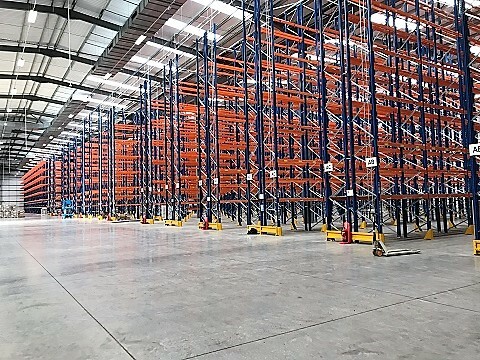 We all know how expensive it can be in relocating your business or indeed building an extension to current premises, it can be costly but also tends to be disruptive to the normal flow in the business for a longer period, a tailored racking solution can be relatively quick to install thereby minimising disruption. We are dedicated to always get you the most suitable & cost effective solution. Our expertise is built over many years and thousands of differing installations for hundreds of customers, businesses of all types and sizes from small independent businesses through to major global corporations. In short no job to small nor too large. One reason for our success is our service levels, we take ownership of projects and handle things from end to end removing the stress from the client side. Free quotations, always happy to quote with no obligation. We are proud that the vast majority of new work comes via referrals from existing happy & satisfied customers. Our pallet racking solutions are designed to meet your exacting requirements. This is the UK’s most common type of pallet racking it is versatile, strong and flexible. Wide aisles allow easy access for people and machine operators. In areas needing bulk storage the push back pallet racking is your best option. Pallets run on rails which push other pallets back as they are loaded this can work up to a maximum depth of 6 pallets. Simple system that doubles the potential storage capacity. Used in conjunction with specialist handling equipment most clients find this a really cost effective solution. A fantastic system where Pallets sit on rollers which are slightly inclined. This means gravity moves the pallets from start to end, without the need for human or mechanical intervention. Short shelf life products where stock rotation is critical, live pallet Racking solutions are the right solution. Dense storage areas narrow aisle racking is recommended. This sort of racking does need specialist handling equipment. It maximises the amount you goods you can store in a specific area. The perfect solution for outdoor storage. The pallet racking is manufactured and is then the metal is galvanised to make it weather proof. So if you are considering a move or want to know how to get the best out of your existing storage we are here and happy to help.